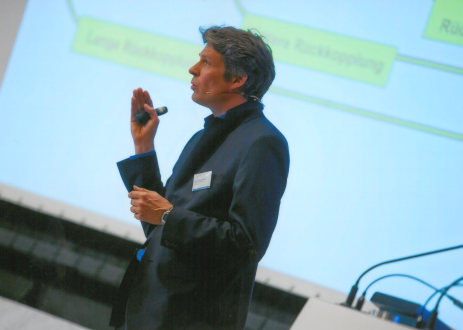 At the conference of “Bildung und Begabung” [Education & Giftedness] 31 May 2016 with the title “Perspektive Begabung: Diversität als Chance” [Future of Giftedness: Diversity as an Opportunity] Thomas Martens delivered a keynote entitled “Motivation and Educational Perspectives of Gifted Children”. While one child follows his interests and develops remarkable skills herein, the other child seems rather lackluster and disinterested. Researcher have long been agreed that motivation is a driving factor when giftedness is translated into performance. As different as young people are so different are their motivation profiles. Family, friends, and teachers – they all influence the development of motivation. This can be promoted by empathetic caregivers or be attenuated in critical phases of life. How can we, in the face of these different conditions, support children and young people developing motivation and regulating them properly? How can school or other learning environments handle these motivation processes? What help can be offered?